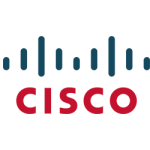 Cisco Systems is an American multi-national company that majorly manufacturers and sells computer networking equipment like routers, switches, and wireless devices. It is the king of computer networking business. It also provides products like security systems, internet based video conferencing systems and phones, cloud system and many other collaboration and enterprise networking solutions. And, it is working hard on security solutions and Internet of Things (IoT). Cisco is the world’s largest computer networking company, that provides solutions for security, networking and telecommunications. It also provides a number of courses that benefit IT practitioners and networking professionals in brushing up their skills and making better advances in their careers.Today Cisco’s networking courses are industry recognized and speak of the learner’s knowledge. Though in the recent decade Cisco has immensely diversified in training and development. As Cisco keeps on growing, it continues to take leaps from one field to another, facilitating better opportunities and services, the future with each passing step turns more secure. Cisco is already delivering training and development on most of its courses.